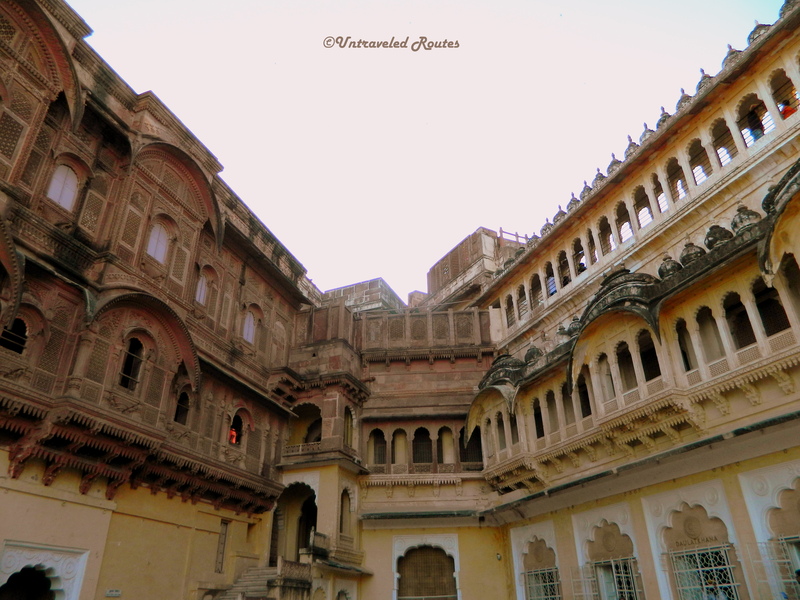 Founded in 1459, by Rao Jodha, Jodhpur (formerly known as Marwar) is the second largest city of Rajasthan. 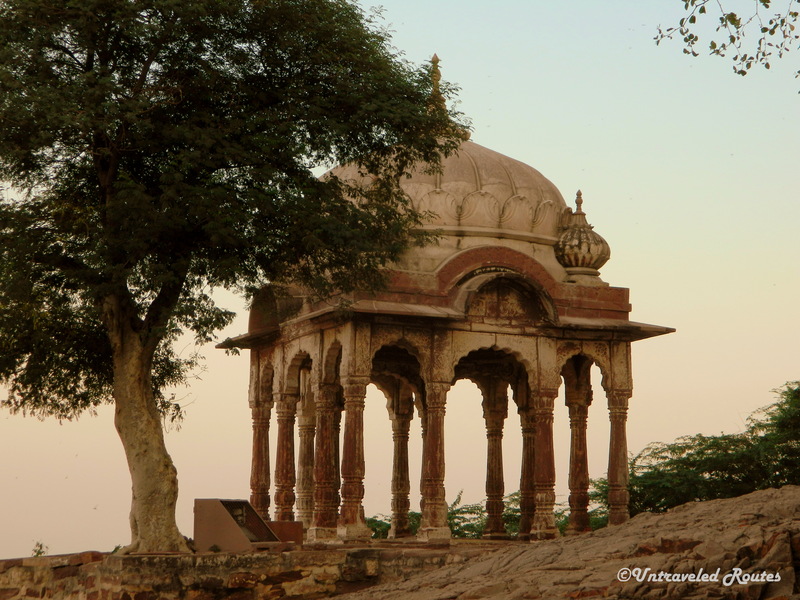 Rathore clan is quintessential part of rich history of the city. Adorned by princely palaces, splendid forts and ancient temples, Jodhpur finds its place amongst the famous tourist destinations. 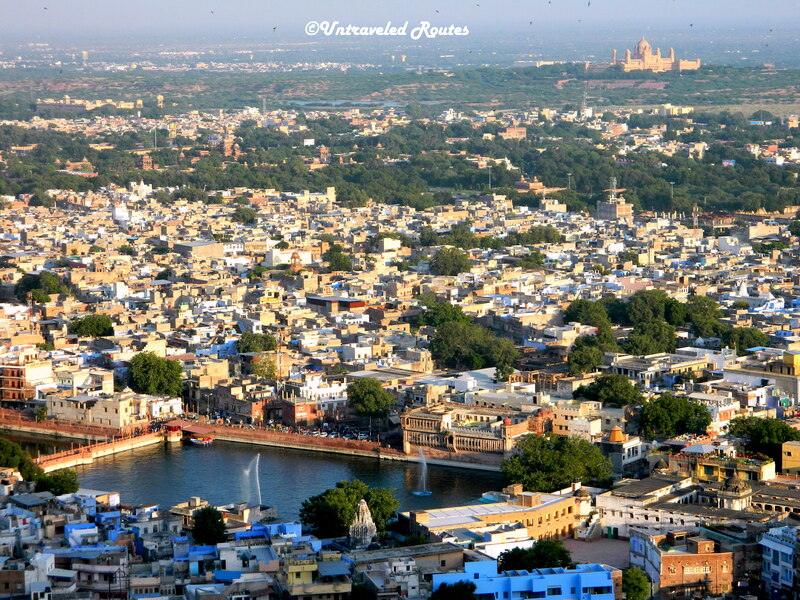 Jodhpur is also known as the ‘Sun City’. It’s interesting to observe that all the houses in the city particularly around the Mehrangarh Fort are painted blue. It might be because color blue has soothing effect & helps in pacifying the heat. But legend has it that the practice of painting the houses blue became prominent when Brahmins began painting their homes to glorify their high status in the Indian caste system. Most certainly the practice spread to every home with the passing time. In 1818, Jodhpur came under British rule and joined the state of Rajasthan in 1949. We arrived at Jodhpur station by train from Delhi in wee hours, the first noticeable thing was cleanliness and hygiene in and around the railway station (which is sort of a rare sight at most of the railway stations in India). Infact, when we started moving around, we could not ignore that the whole city is comparatively cleaner than other cities in India. There were no heaps of garbage, no polythenes hovering on roads, no open garbage stacks. For that reason, Rajasthan overall is very well maintained state. We began city tour with Mehrangarh Fort, known as one of the largest forts in Rajasthan, overpowering the city from 400 feet above the hill; this gigantic monument is the major attraction. Over 500 yards long, its wall rises in places to a height of 120 feet and is 70 feet thick. 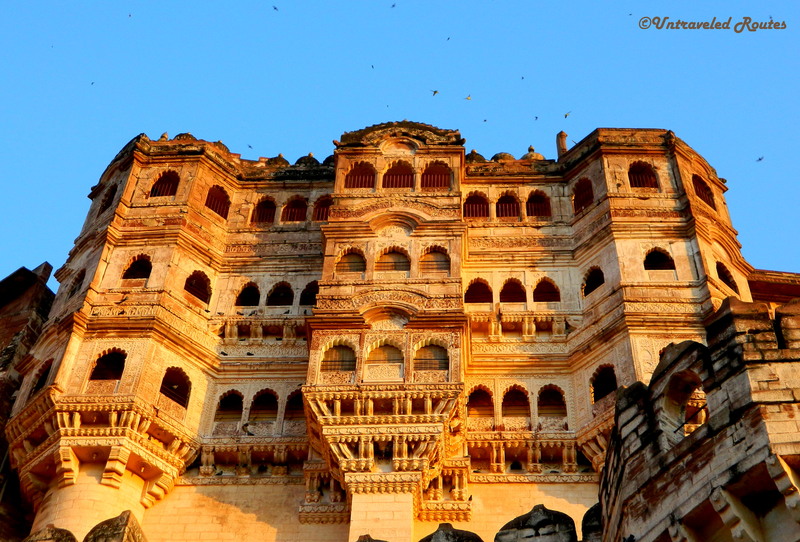 Rao Jodha built this fort in 1459 AD, known for its beautiful multistoreyed palaces; Mehrangarh has been the headquarters of the Rajput clan for centuries. 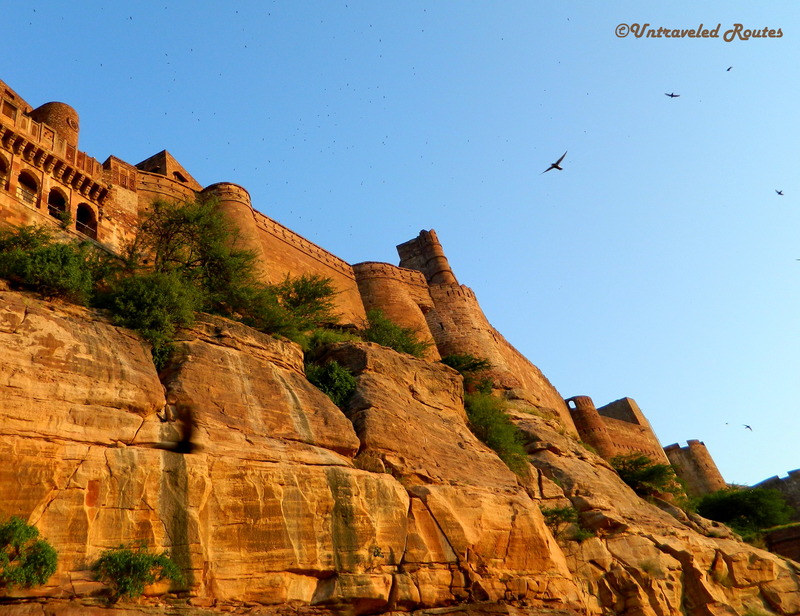 The fort was named Mehrangarh, meaning ‘fort of the sun’ – a reference to the clan’s mythical descent from the sun god Surya. 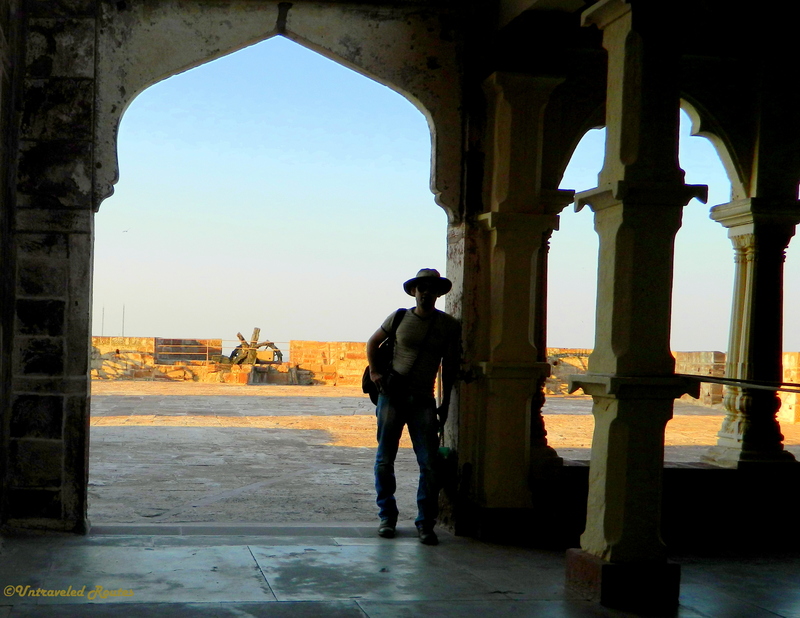 The fort has seven gates commemorating victories of various rulers over Jaipur, Bikaner and Mughals. The museum inside the fort houses exquisite royal collection. There is ‘Chamunda Mataji Temple’ as well inside the fort. In 1460, Rao Jodha bought the idol of the goddess from Mandore; Chamunda Mata still remains ‘Isht Devi’ of the Royal family. Infact the day we were visiting the fort there was a long queue and huge crowd for Mata darshan, mostly locals were heading directly to the Chamundi Devi temple. Another major attraction is Umaid Bhawan; centrally placed this majestic palace captivates attention from every aspect. Originally, the Bhawan was built by Maharaja Umaid Singh to provide employment to laborers during the famine in late 1920s. The Bhawan is known to be one of the world’s largest private residences, has 347 rooms and serves as the principal residence of the erstwhile Jodhpur royal family. Presently the Palace is owned and managed by Gaj Singh II (descendants of the former rulers) ; Divided into 3 functional parts – a luxury Taj Palace Hotel (in existence since 1972), the residence of the owner’s royal family, and a Museum focusing on the 20th century history of the Jodhpur Royal Family. The opening hours of this museum are 9 am to 5 pm. The Palace is guarded by in-house police – ‘Umaid Bhawan Police’.